We provide Linear Guide Bearing for customers all over the world, with high quality,fast delivery and efficient service. 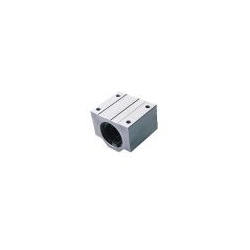 Linear ball bearing offer a wide range of linear module with many option including drive type, linear support, contamination protection and space saving design. Ease of assembly and replacement, our case unit is assembled by a slide bushing in an aluminum or cast-iron housing and securing the slide bushing with a snap ring. Case unit allows the slide bushing to perform smooth motion easily with high precision and low frictional resistance. Made mainly of aluminum, providing high corrosion resistance.